USA Today shares a lot of new Zootopia images and story hints. Are you excited for Disney’s new furriest movie? Mrs. Otterton’s missing husband spurs the action on. There’s “Duke Weaselton, a small-time weasel crook with a big-time mouth”. 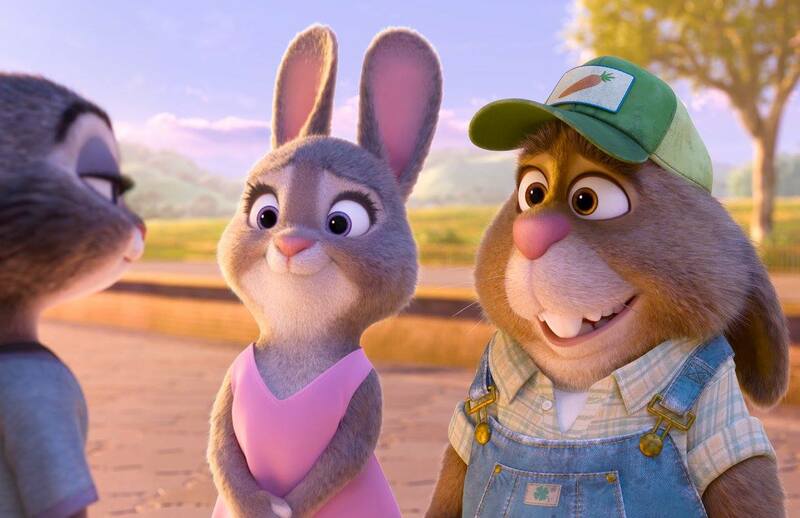 Judy Hopps is “a ground-breaking rabbit trying to make it as a cop” – it sounds like bunnies usually aren’t cops, so we get a nice hint about what species means in the Zootopia world. Enjoy more from USA Today’s exclusive Facebook gallery. Furries on NCIS Los Angeles. Last week there was a CSI-style bad furry stereotype on iZombie. This week, two NCIS characters revealed furriness. Go to 18:00 in the link. The important part starts at around 19:00. It goes for about a minute, with one more remark before the scene cuts at 21:00. It’s lightly humorous, maybe flirty banter between the two characters. They joke about how furry conventions can “go off the rails”, but that’s the worst judgement. They discuss fursonas and share appreciation, making a nice, innocuous minute in the pop culture spotlight. Isn’t that a relief? "Yeah, I've been to Califur a few times." Alkenta in his By Cats For Cats suit. What a cutie. 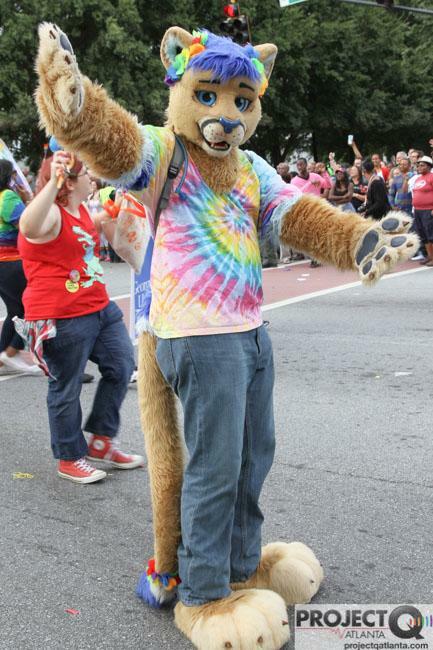 In Atlanta: Furries spread their huggable, lovable Pride. A positive article and photo gallery (that confusingly mixes corporate mascots). Project Q is a quality queer news outlet that gave love to the Furry presence at Atlanta Pride last year too. It was notable as perhaps the first time a convention (FWA) has officially sponsored Furries in a Pride parade. I spy Alkenta Wildcat in the photos (right), a previous member of the San Francisco furry community who participated in SF Pride events too. Isn’t it great how furriness spreads? Watch These Fake Frosted Flakes Commercials Before Kellogg Takes Them Down. On Digg.com. Tony is motivational for all the wrong reasons. This is a good occasion to remind you that Dogpatch Press has no morals about publishing sextapes of cereal mascots. Got one? We’ll make a bidding war with Gawker. VICE: The Strange Story of the Video Game That’s ‘GTA with Dogs’. A pro basketball player’s career was shut down by a broken leg. While recovering, he taught himself to make his own video game, trading basketball for dogs. Speaking of sportsball – I always say I’d love a game where teams of mascots play around with one sports guy. This should tell you how I don’t get it much. OK, but this guy gets respect for multi-talents. 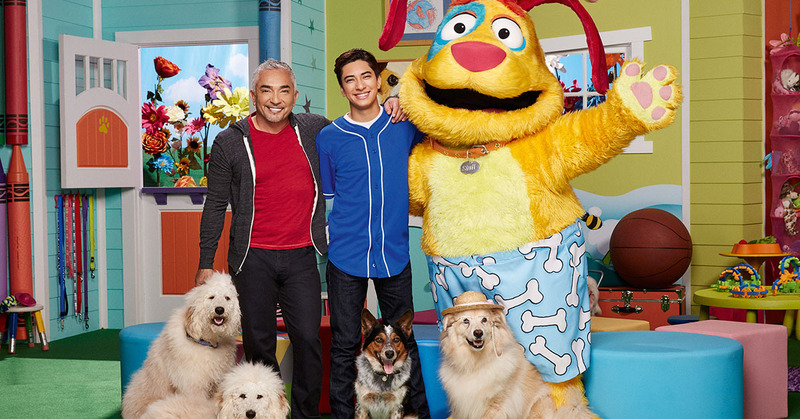 The show has “dog whisperer” Cesar Millan, his son Calvin, and Stuff the dog. Now I can’t stop thinking about 7-foot-tall furry hugs. Bronies: The grown ups obsessed with My Little Pony. A standard introduction in Australia’s Daily Telegraph. Werewolf News – CALL FOR PITCHES: WEREWOLVES VERSUS ROMANCE. The high quality of the Werewolf News blog is super inspiring. Now it’s publishing a creative magazine just for the heck of it. I’m not looking for a bunch of conventional romance stories (or comics, or poems) where one or both partners are lycanthropes. I want to see first dates ruined by overzealous monster hunters on patrol, pickup artists ground into hamburger for trying to neg the wrong person, and polyamorous triads trying to work out pack dynamics. 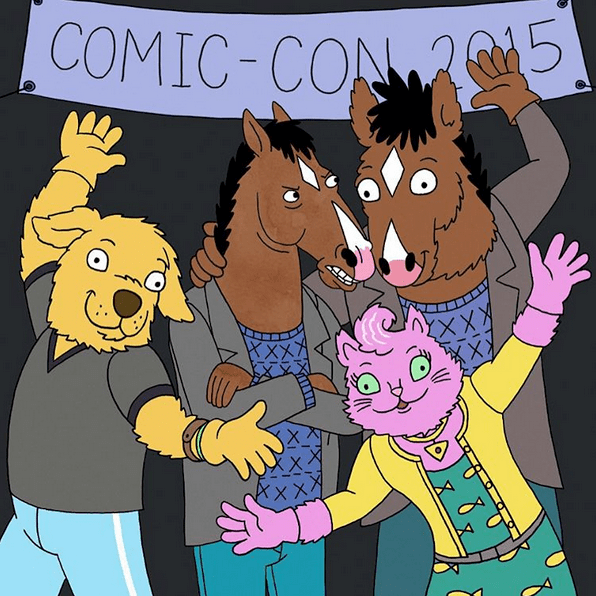 Bojack Horseman hangs with “furry” fans at Comic Con. 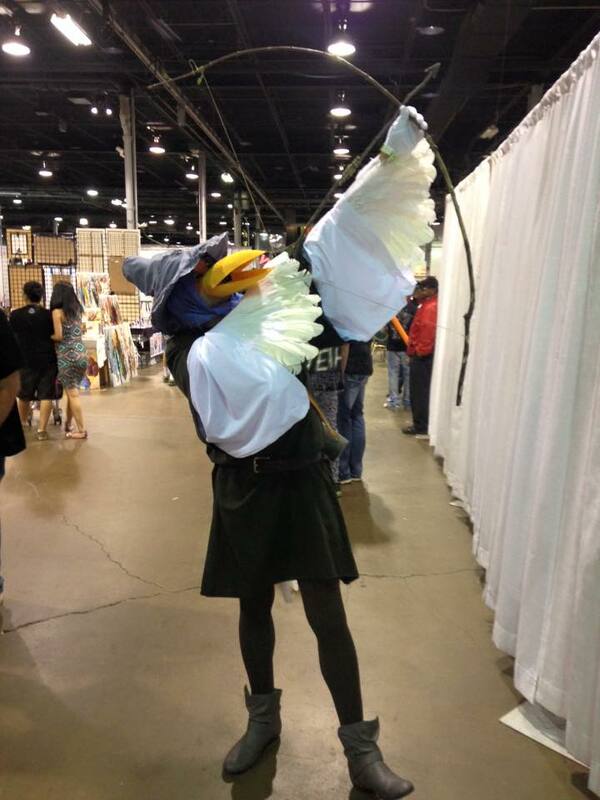 Amazing Cosplay: Robin Hood in Disguise. Nice legs! AMAZING FURRY NEWS COMING SOON – You Won’t Believe Who Got Yiffed In #6!